Turkey-based ThermoBor, a company specialising in production of thermal insulation materials, recently met with senior Bahraini officials to discuss the company’s plans to open a regional office in Bahrain to cover the Gulf market, said a report. 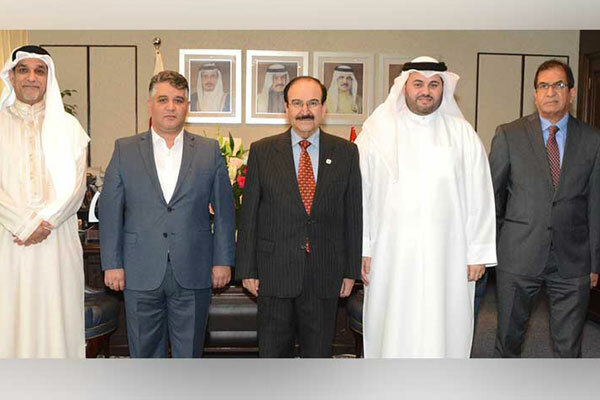 Bahrain’s Electricity and Water Affairs Minister Dr Abdulhussain Mirza received the delegation from Bahrain Buildings Company, led by Abdullah Al Meer; and Walid Bujairi, who introduced Murad Sargin, president of ThermoBor, reported Bahrain News Agency (BNA). The minister welcomed the guests, who were briefed on the Turkish-made ThermoBor material for thermal insulation, which can be applied to the buildings as an alternative to the traditional cement, directly on the surfaces to be isolated, it said. The minister praised TermoBor's activities in Turkey, Europe and other countries in the region and expressed his appreciation for the selection of Bahrain as the starting point for the promotion of their products in the GCC countries. The visitors expressed pleasure to present their products in the local market, added the report.